Lexington, Ky. – Para-equestrian dressage athlete Katie Jackson has been named a recipient of a 2017 Travel & Training Grant from the Women’s Sports Foundation. Jackson, a Grade V para-equestrian dressage competitor, joins 14 athletes and five teams across 17 sports who have received grants through the Women’s Sports Foundation’s Travel & Training Fund program. Jackson will use the grant to help offset expenses associated with training for a spot on the U.S. team at the upcoming 2018 FEI World Equestrian Games™ including competing with North Texas Equestrian Center’s Royal Dancer, a 2005 Westphalian gelding, at the 2017 US Para-Equestrian Dressage National Championships this September in Tryon, N.C.
“I’m extremely honored to receive a Women’s Sports Foundation Travel and Training grant. The Women’s Sports Foundation is an incredible organization that has helped numerous top female athletes pursue their dreams. Many of these women have gone on to represent our country in world events, bringing home top honors and medals for the United States. It is my dream to be able to do the same,” said Jackson. Jackson (Austin, Texas), an amputee and cancer survivor, has found much success as a para-dressage athlete. She was part of the two-time gold medal winning Deloitte United States Para-Equestrian Dressage Team at the 2017 Adequan® Global Dressage Festival, was the 2016 United States Dressage Federation (USDF) Grade IV Para-Equestrian National Champion, 2016 Adequan®/USDF Para-Dressage Rider of the Year, recipient of the Perpetual Sportsmanship Award, and a two-time Dover Dressage Medal winner against able-bodied riders. “Knowing that the foundation believes in me and has offered their support has been hugely motivating. Financial support to help offset the significant costs incurred to compete at the international level is a crucial component to making my dreams become a reality. I am immensely grateful to have the WSF’s support. I look forward to proudly representing the ideals of the foundation and will continue working hard towards my goals,” added Jackson. 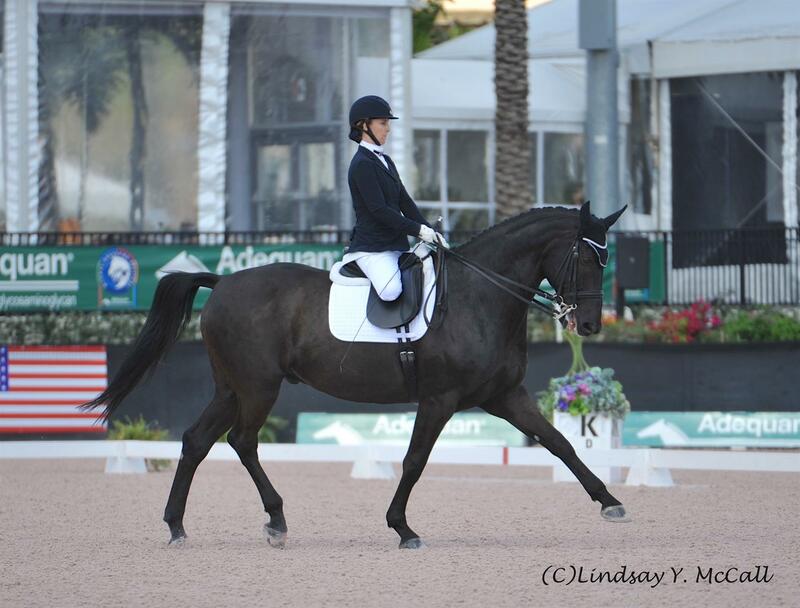 For more para-dressage news, like USA Para-Dressage on Facebook. This entry was posted in FEI & USEF Dressage News on August 10, 2017 by ludlumfarms.